One of the highlights in East Nusa Tenggara, not just the underwater world, the landscape and mountains are amazingly jaw-dropping. 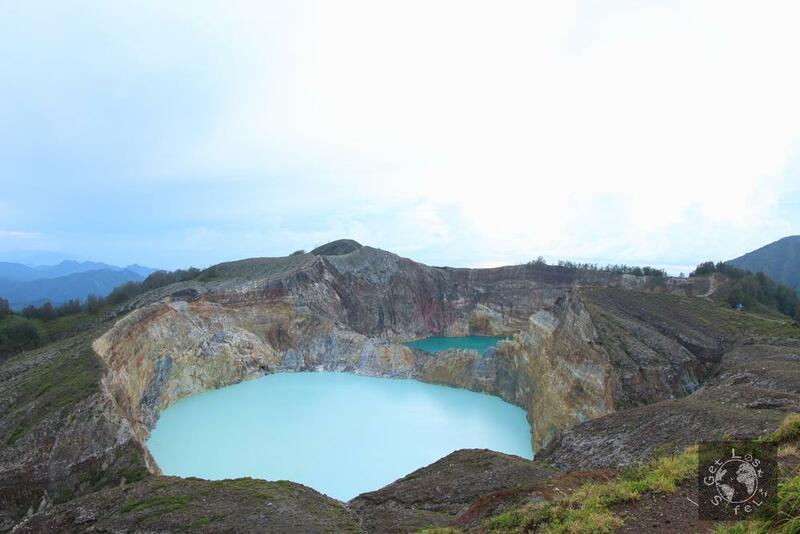 Exploring the Kelimutu Crater Lake is a must to do when you visit the island. 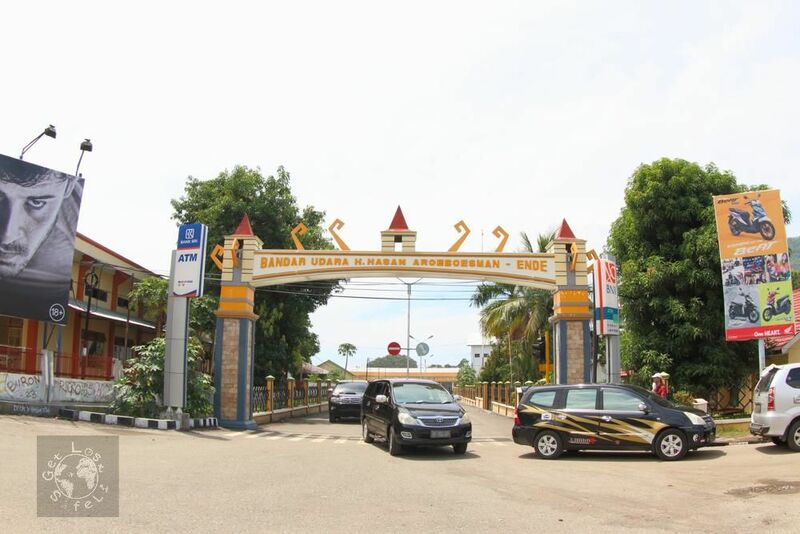 I knew about this place from Indonesian banknote when I was a kid. 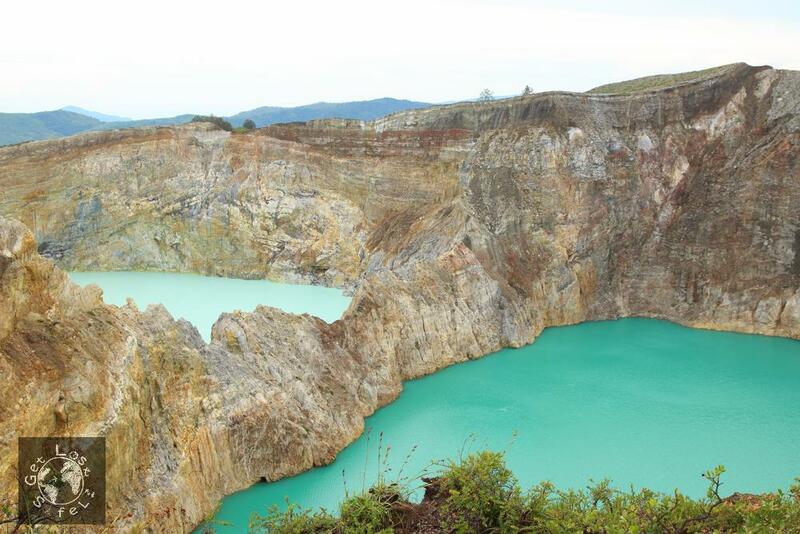 It’s kinda unbelievable that I could visit the Kelimutu Lake though. Once, the portrait of the lake and the traditional music instrument Sasando Rote from Flores was on the Indonesian banknote. The banknote stayed for like 9 years in Indonesia, later on they changed the design in 2001. 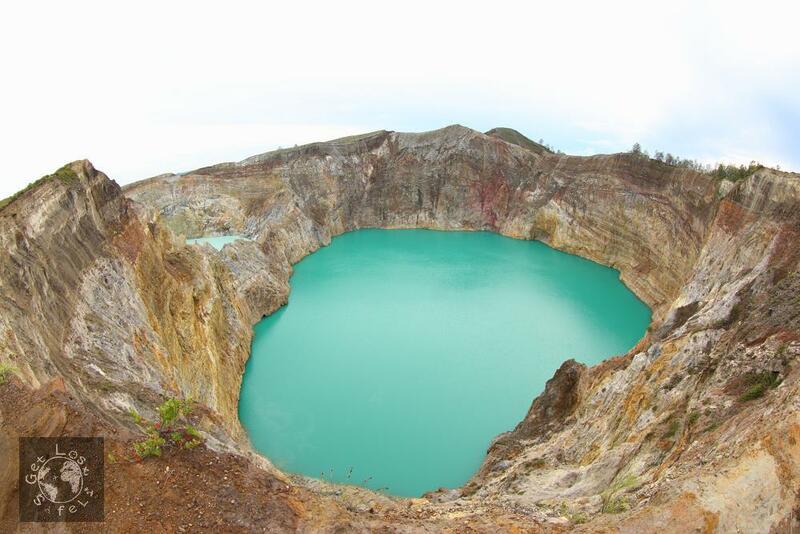 Kelimutu Lake is located on the Kelimutu Mountain peak, Ende Regency, East Nusa Tenggara, Indonesia. The color of the lake changes from time to time. 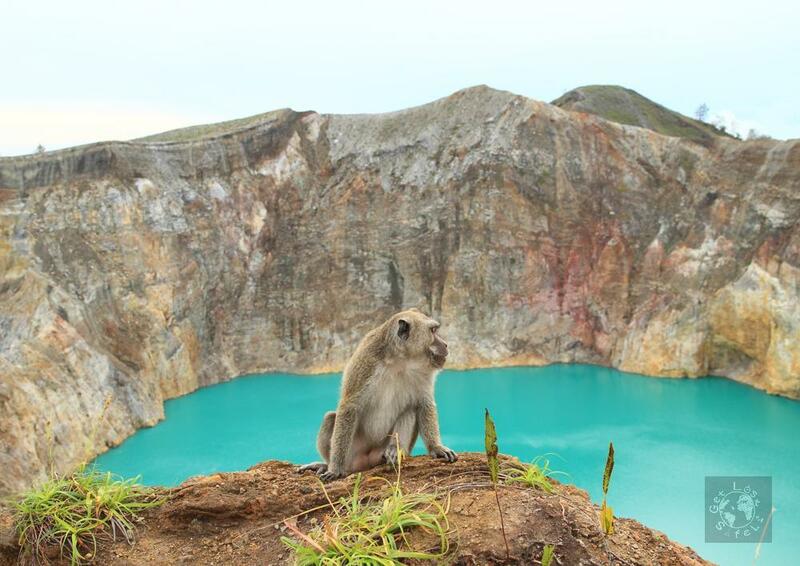 The Kelimutu National Park recorded 44 color changes on the lake since 1915 – 2011. 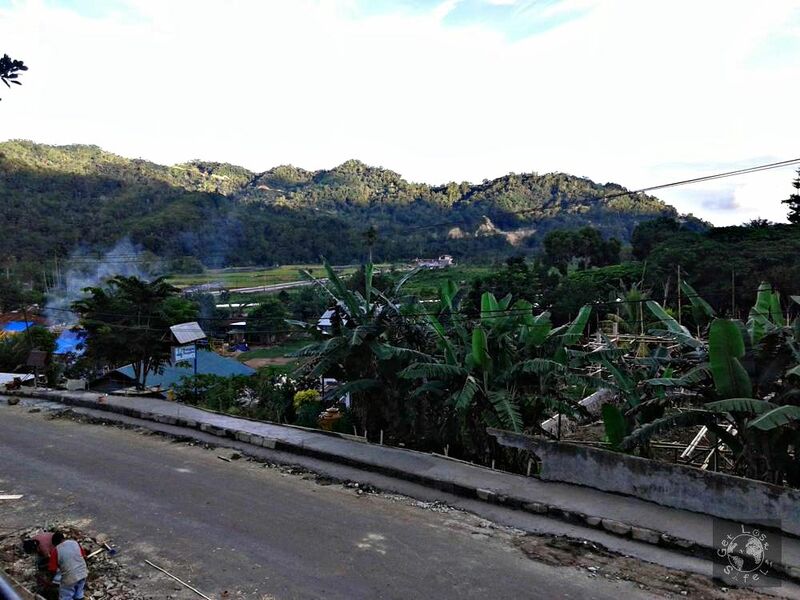 The name comes from the local language, ‘keli’ means mountain and ‘mutu’ means boiling. 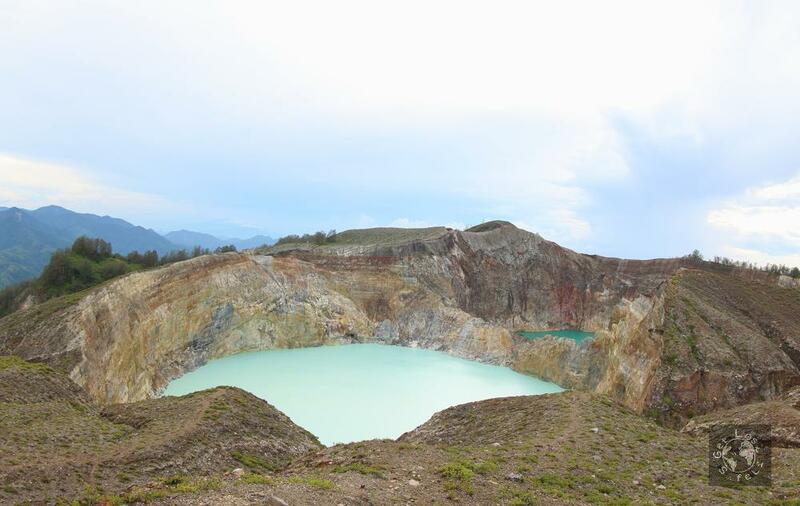 So the word Kelimutu implies to a Boiling Mountain. There are 3 lakes on the top of the mountain. Each of them has its own meaning and myths following the existence of the lake. You can reach the lake from Maumere or Ende. 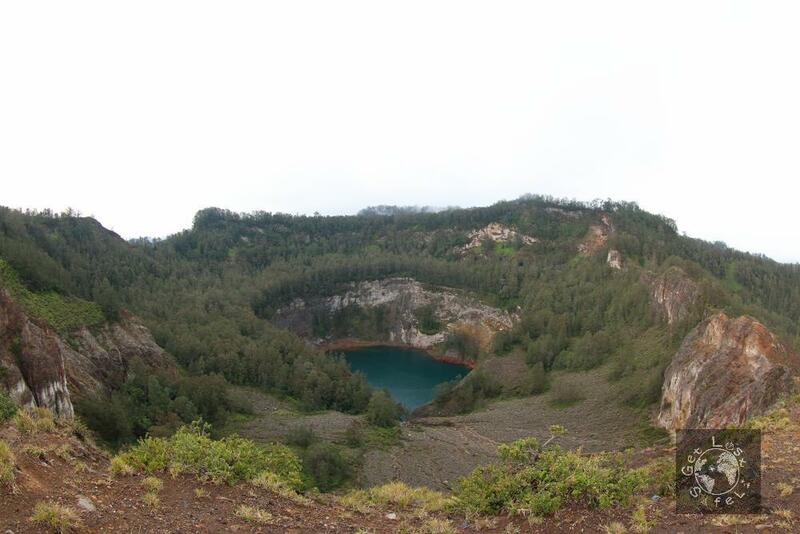 Kelimutu lies on the road from Ende to Maumere. We went there from Ende. 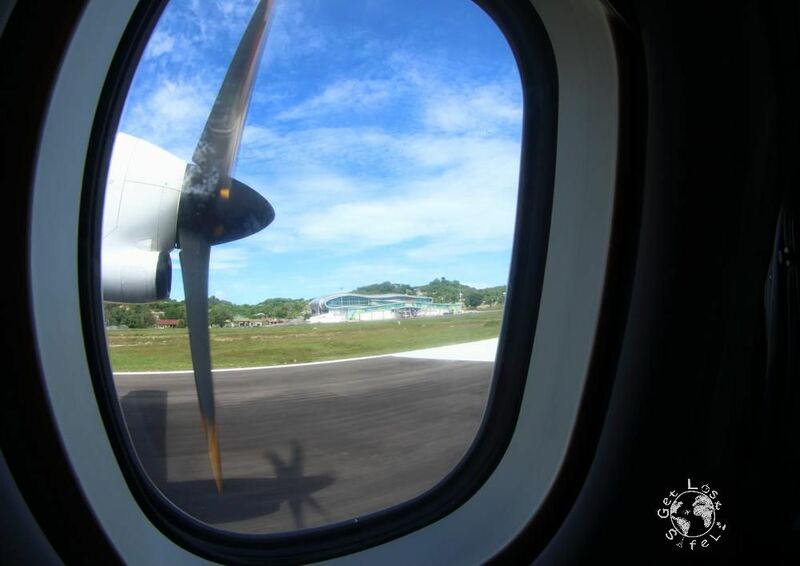 This trip was a trip after our trip to Labuan Bajo, East Nusa Tenggara. 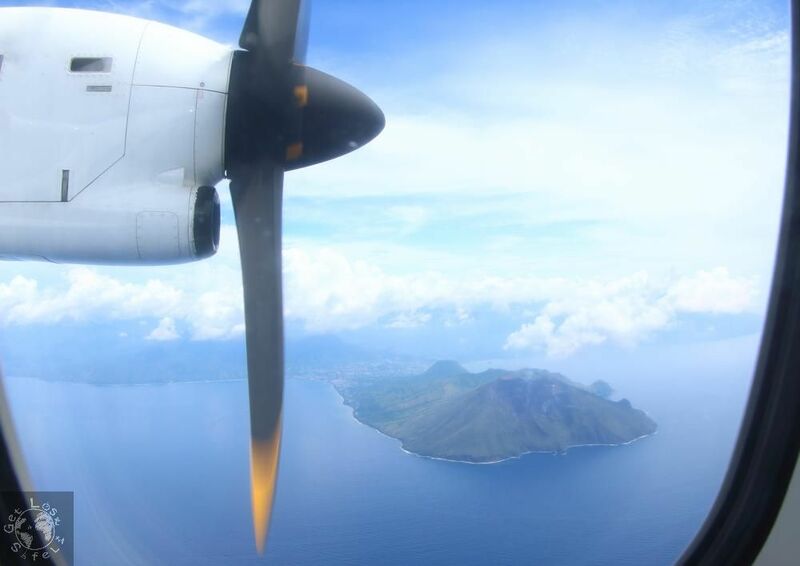 During landing, we turned around a marvelous active volcano. I witnessed a smoking volcano with a monstrous hole gaping to the sea. Then we landed on a small quiet airport H Hasan Aroeboesman. 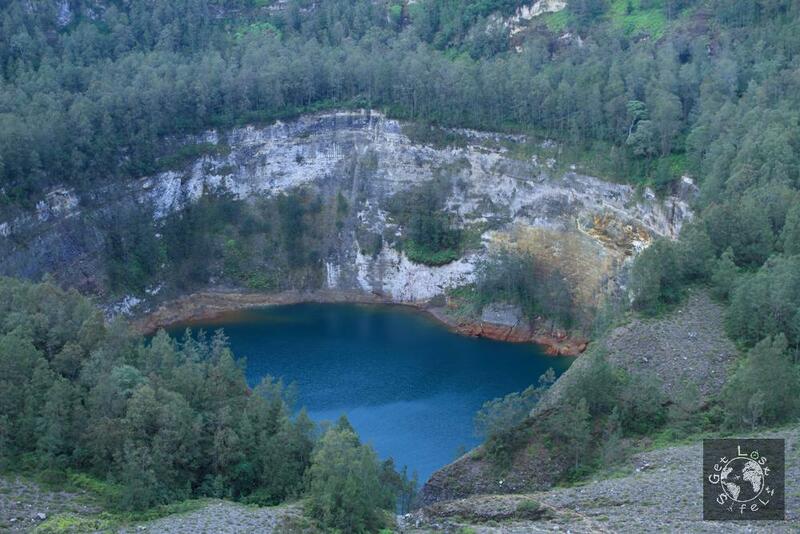 There are several ways to go to Kelimutu from Ende. 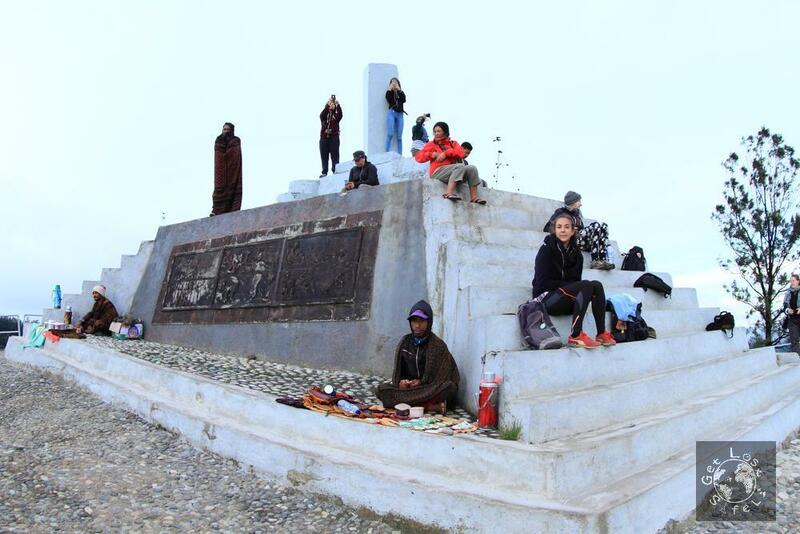 You can go to Moni Village and stay there over night, then hike up to the peak in the morning. 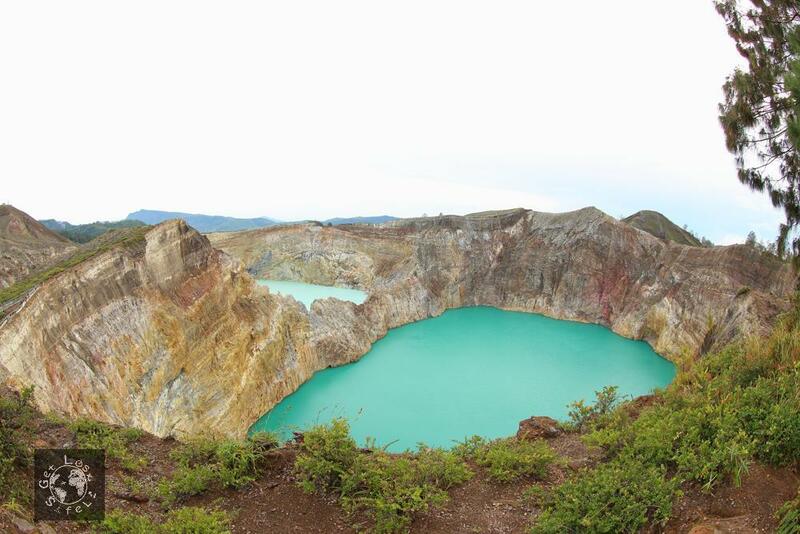 Or you can stay in Ende, rent a car and go to Kelimutu in the early morning. The 2nd option is not so effective in my opinion though. First of all, Kelimutu is kind of far from the Ende – it’s around 42 km with a small curvy road which is not so save to pass in the dark. Second, the panoramic view along the way to Moni is a must seen. And third, Moni is a nice quiet and peaceful village to stay, much better than Ende I would say. The transportation from Ende to Moni is easy to find. When you step out from the airport, lots of drivers will run after you to offer their private car. It costs around 300,000 IDR (19.26 EUR) for one way, the price is negotiable. We rent a car for 500,000 IDR (32.09 EUR) and stopped in several places on the way to Moni. Or else, you can take the public transportation from Ende to Maumere and stop at Moni Village. This way you will spend less money. 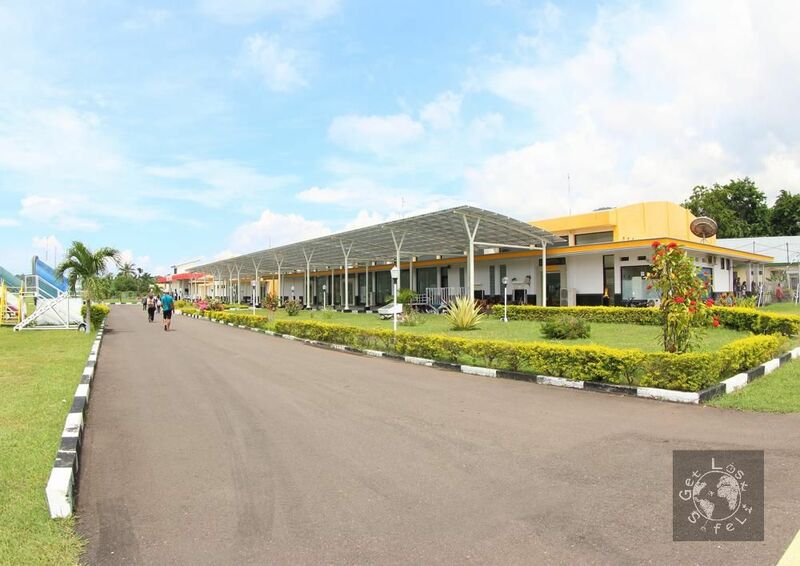 The price from Ende to Moni was around 20,000 – 30,000 IDR (1.28 – 1.93 EUR). 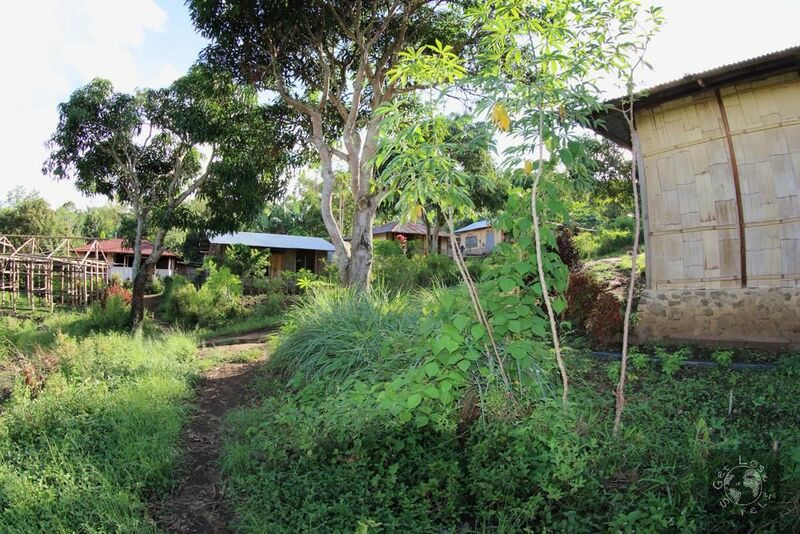 Finding accommodations in Moni Village is not a big problem. You can find lots of them, you don’t even have to book it in front of, especially in low season (January – February). But it’s possible not to get any accommodation on high season. We stayed in Watugana Bungalow for a night and paid 190,000 IDR (12.19 EUR). The owner was cool and so communicative. He helped us to find a motorcycle to rent. Moni Village, Ende, East Nusa Tenggara. They are repairing the the road and building the village. Moni lies around 13 km from the lake, so how to get there? You can do trekking for about 12 km, please consider that you will walk uphill. Another option is to take ‘Ojek’ which costs 100,000 IDR (6.42 EUR) round trip. Ojek is a kind of transportation by motorcycle. You will sit behind and the driver will take you up and back to the village. Or you can rent your own motorcycle and drive up there for about the same price as the Ojek for a person. Another village near by Moni where you start the hiking. We chose the 3rd way, it’s more comfortable and we could drive around the village. You can have the motorcycle for 24 hours which is really nice. 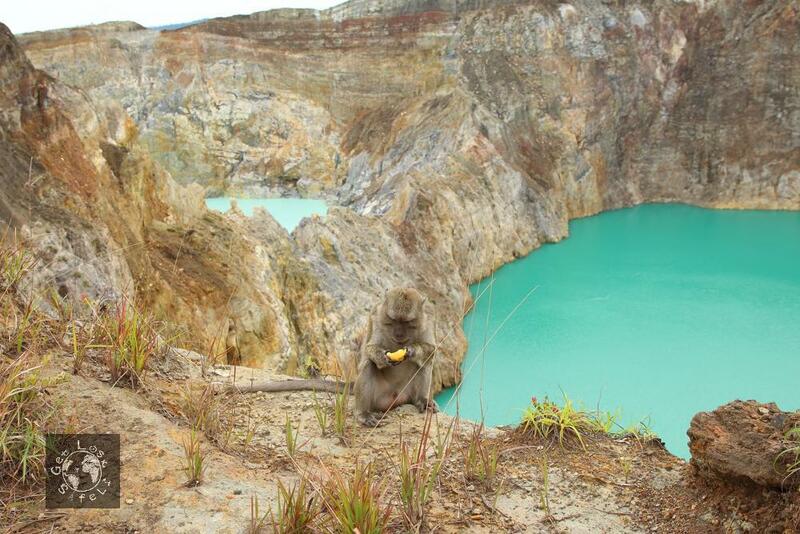 And we also stopped at several places on the way from Moni to Kelimutu, took lots of photos and enjoyed the ride. There was no place in where you can rent the bike, but for sure you can ask the owner of the bungalow or hotel to help you. They will help for sure. For sure you will have to pay the entrance fee to the National Park. 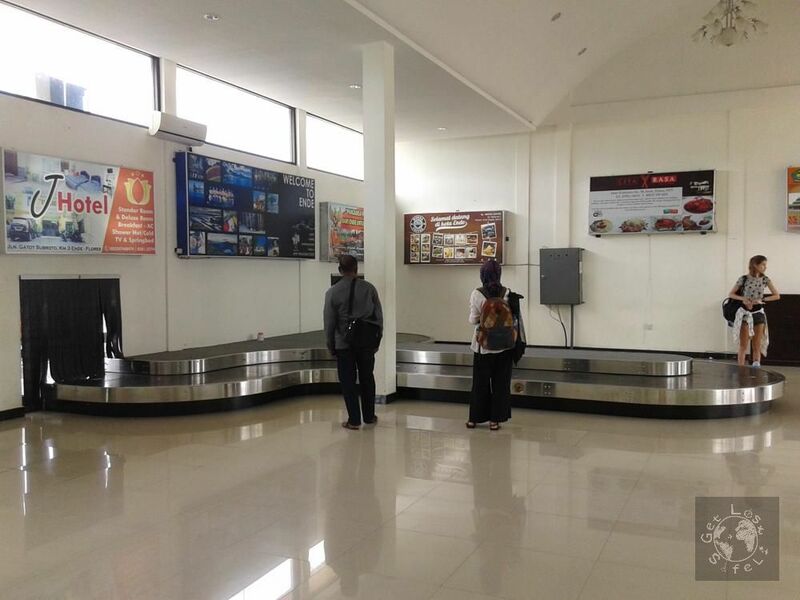 It was 5,000 IDR (0.32 EUR) for domestic tourists and 150,000 IDR (9.63 EUR) for foreign tourists. Somehow it’s not fair though, the foreign tourists have to pay much more, looks like this is quite normal in Indonesia. And for the 2 wheels vehicle like motorcycle, you will have to pay for 2,000 IDR (0.13 EUR). Wooden board showing the direction and distance to the lakes. 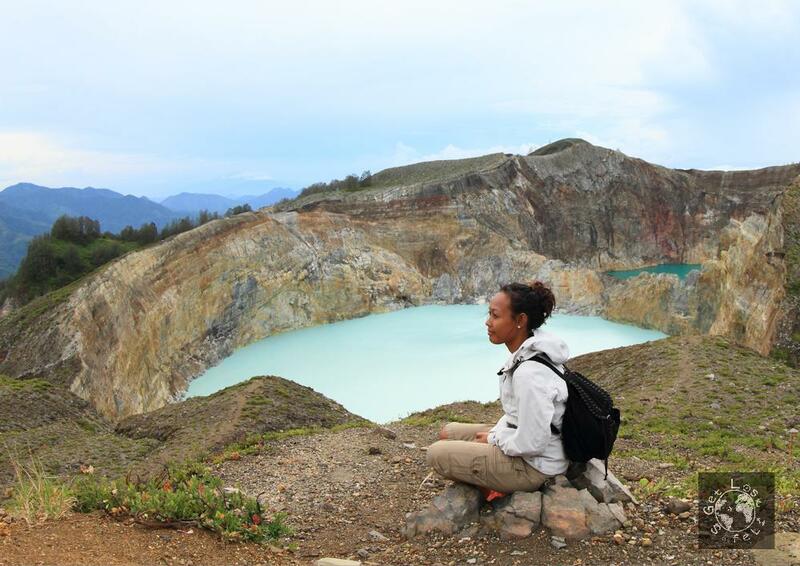 Even though you travel by motorcycle, you will have to hike up to the Kelimutu Mountain. The closest lake is around 625 m from the parking lot, meanwhile the summit is around 1.3 km. I heard that the best time to visit is early in the morning, when the sun rising up behind the bashful lake. We woke up at 3.30 am and left at 4 am in the morning. Don’t forget to take flashlight with you, it’s quite dark. Also be ready for the wind on the summit, it was fairly cold up there. It was indeed really exhausting. Our journey started in Labuan Bajo on its must visited places, then to Ende and Moni, woke up in the early morning and drove on curvy uphill small road. I was craving for caffeine. After parking the motorcycle, we went for the coffee just aside the parking lot. We bought different kind of coffee from different seller. Surprisingly, the taste was also different. It was fresh coffee from their garden. Delicious! Coffee shop near by the parking lot at Kelimutu. Other than that, those women sellers also sold cakes, biscuits and even the traditional handmade cloth with an interesting technique “Ikat Weaving”. Ikat weaving remains a major living expression of East Nusa Tenggara’s contemporary culture and identity. The people of the islands in NTT (Flores, Sumba, Timor, Alor, Rote, Sabu, etc) are still reliant on this craft, which is rich of high social and symbolic meaning associated with local religious beliefs and practices. 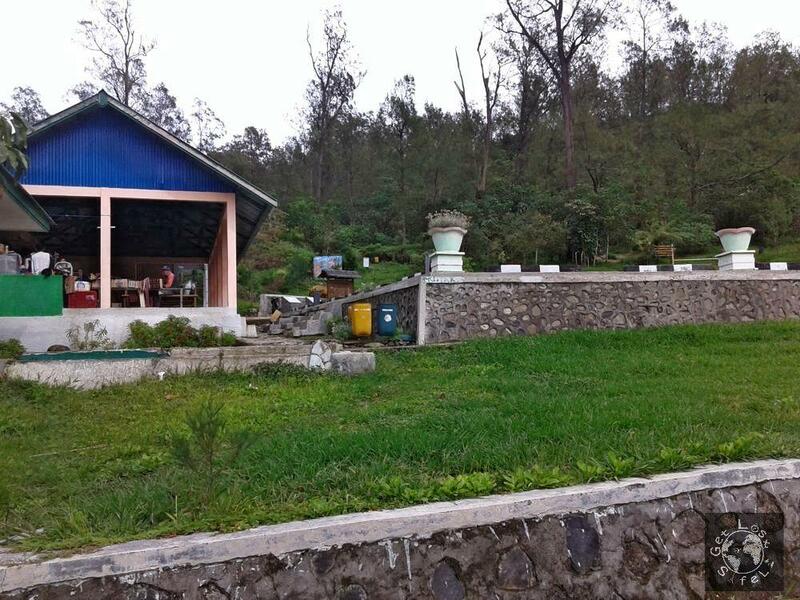 For your information, there are also coffee sellers at the viewpoint on the summit of Kelimutu. I didn’t know that. If I did, I would buy the coffee up there and enjoy it while waiting for the sunrise. Kootainuamuri Lake or also Tiwu Koo Fai Nuwa Muri (tiwu means lake in local language) is a lake that can be seen from the summit. 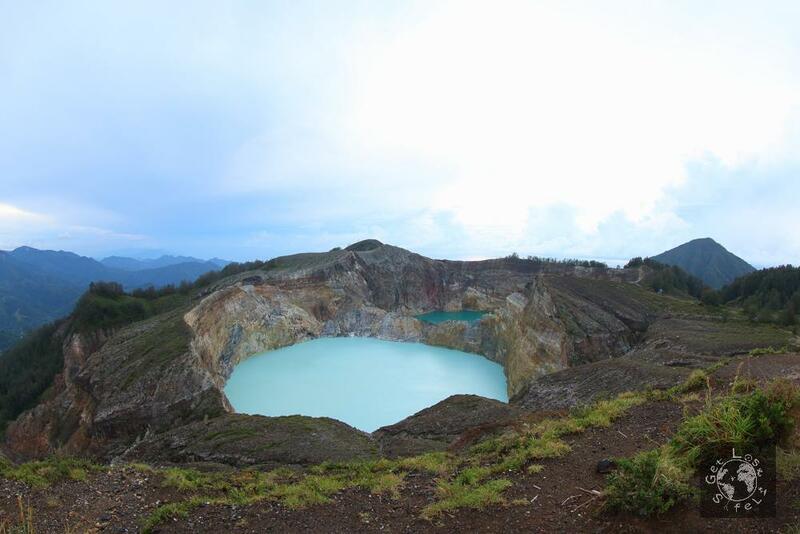 This lake is also called the Blue Lake, the color on Indonesian previous 5000 IDR banknote was also blue. But it was more like turquoise when we were there. As I told you before, the color changes by the time, no one knows why. Actually we passed the other lake, the red lake, on the way to the summit, but then decided to go farther so we could see the sunrise first. The path to the summit is nice. 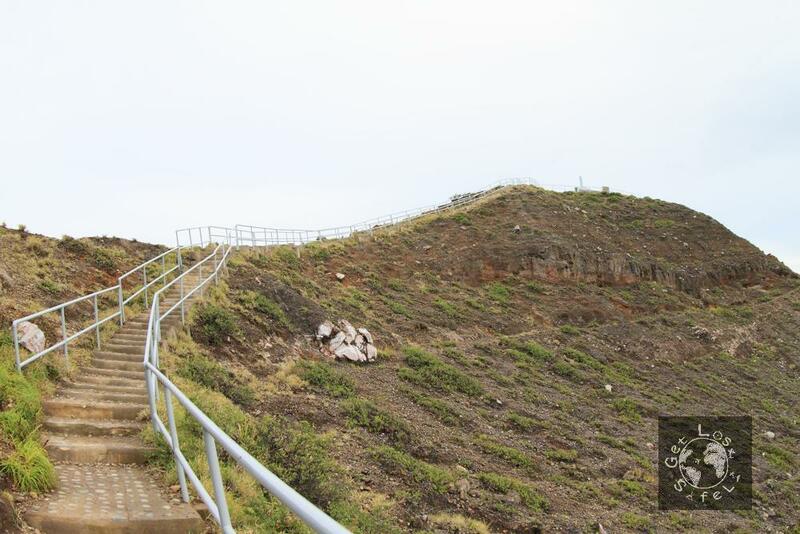 There were stairs to make it easier for the tourists. Sitting near by the Kootainuamuri Lake. The Blue Lake, that I saw as turquoise, is believed as a gathering place of the young people’s spirit who already died. The local people believe that each lake has its massive natural power. I gazed at the Abutu Lake aka the White Lake as the lake with the darkest color among the three. Meanwhile it was green on the old banknote and was dark blue on the picture above the banknote. The position of lake which is behind the sunrise make the Abutu unknown to fame. 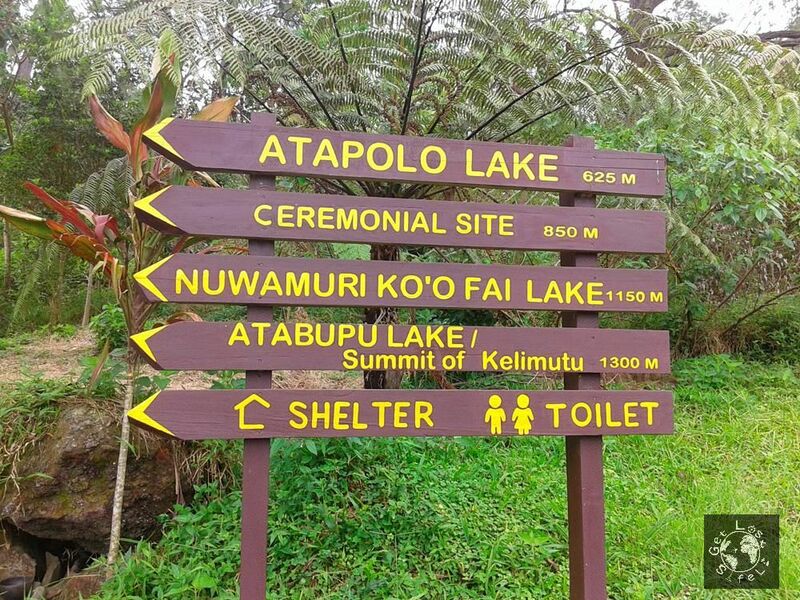 The longer name of this lake is Tiwu Ata Mbupu. It’s the smallest in size compare to the other lakes. 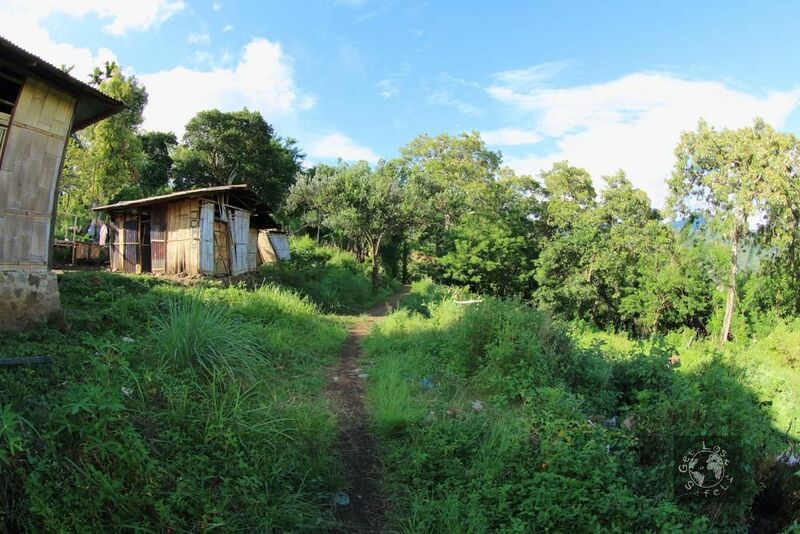 Local people around the lake believe that Abutu is a gathering place of the spirit of the old people who died. It is my favorite, the prettiest in color when I was there. 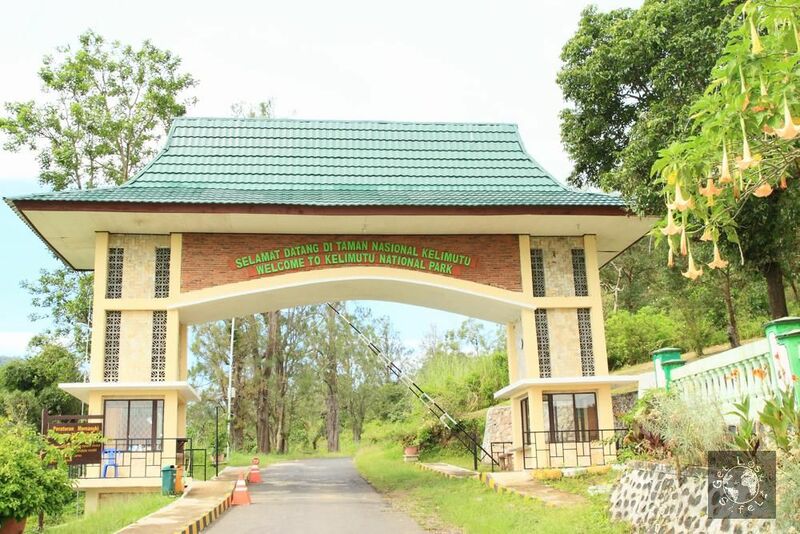 Alapolo Lake or Tiwu Ata Polo is believed as a gathering place of the dead’s spirit who performed black magic or committed crime in their life. 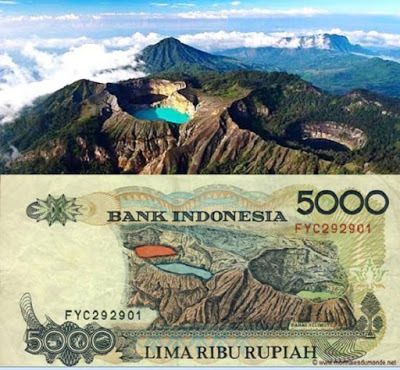 The other name of the lake is the Red Lake as the lake on the old Indonesian banknote. We hiked higher to get better view of the lake. The view, the color, and the air were so stunning. I went to edge of the cliff, checking the solidity of the ground or more like stone, prepare my fish-eye lens, and click the button several times. The edge was really steep, but I nailed it. 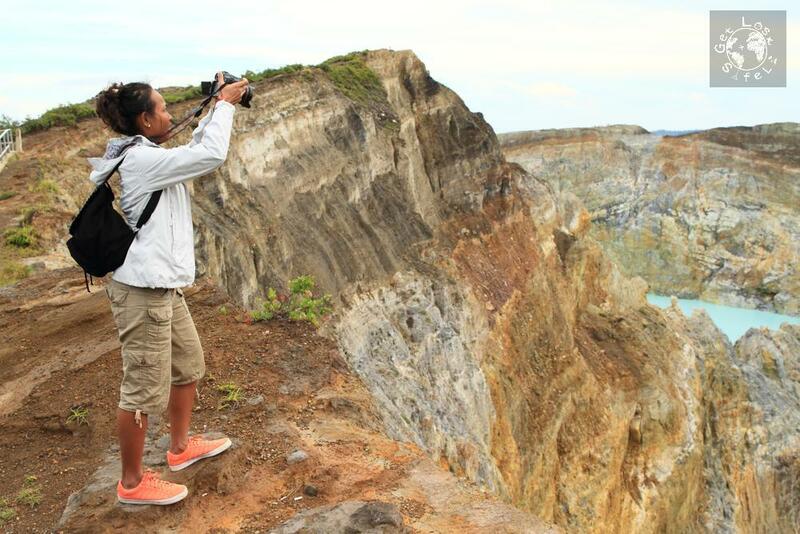 Photographing at the edge of the Kelimutu Lake’s cliff. 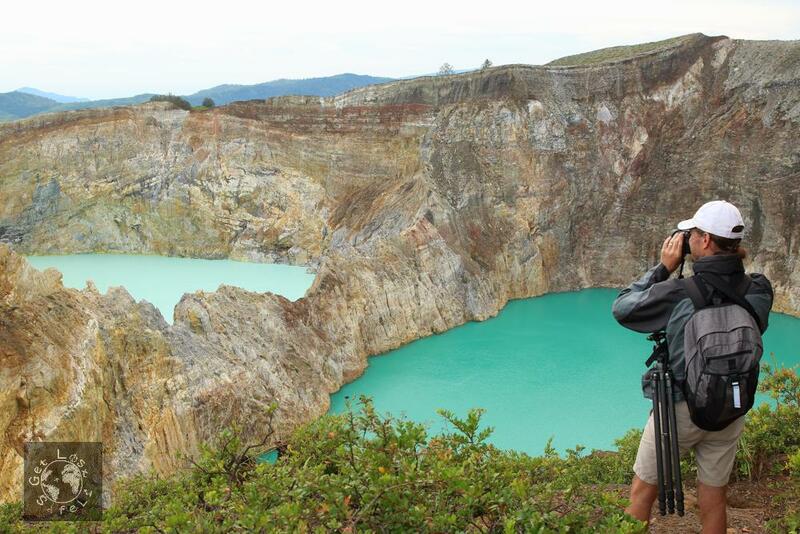 Photographing the Red Lake Kelimutu. 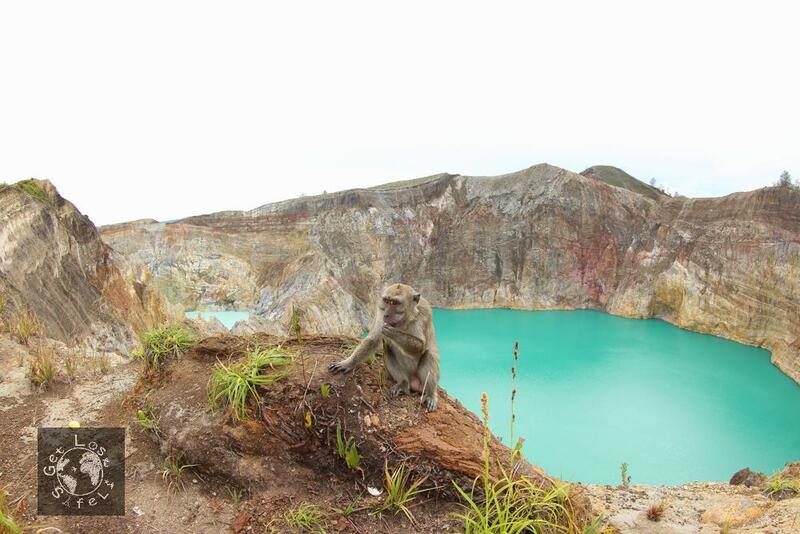 After capturing the scenery, a wild monkey showed up. Looks like the local tourists were feeding the monkey. 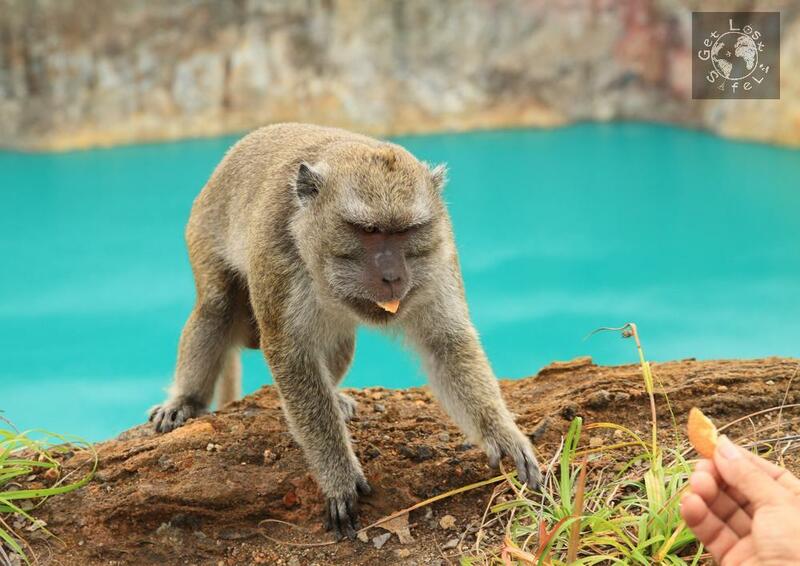 So we hurried and went down the hill, took another shoot of the wild monkey at the really edge of the cliff. 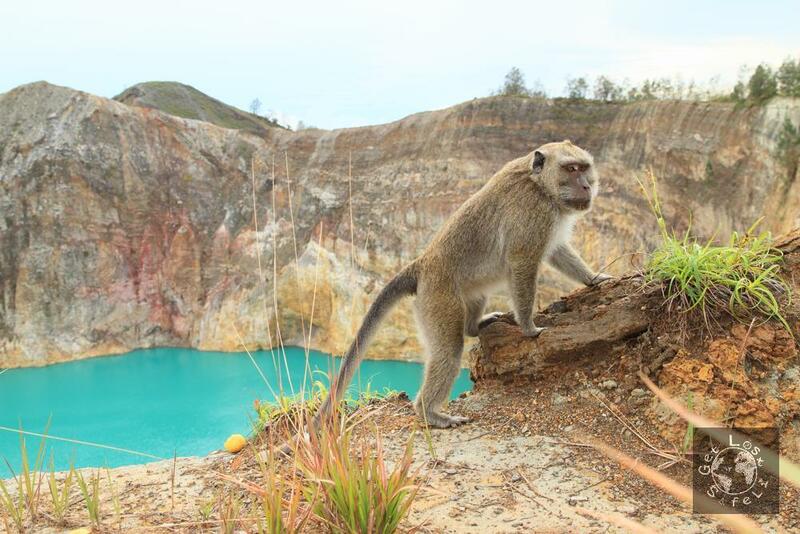 Our journey continues by visiting other part and around Kelimutu National Park, leaving the monkey and Alapolo in peace on the warm sunny morning.